It really is all about Bob! 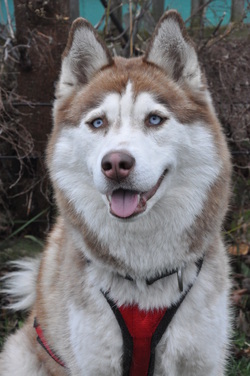 He is a young and enthusiastic lead dog. He is super smart and takes his job so seriously that he leads the others through “brain or brawn” – whatever it takes! 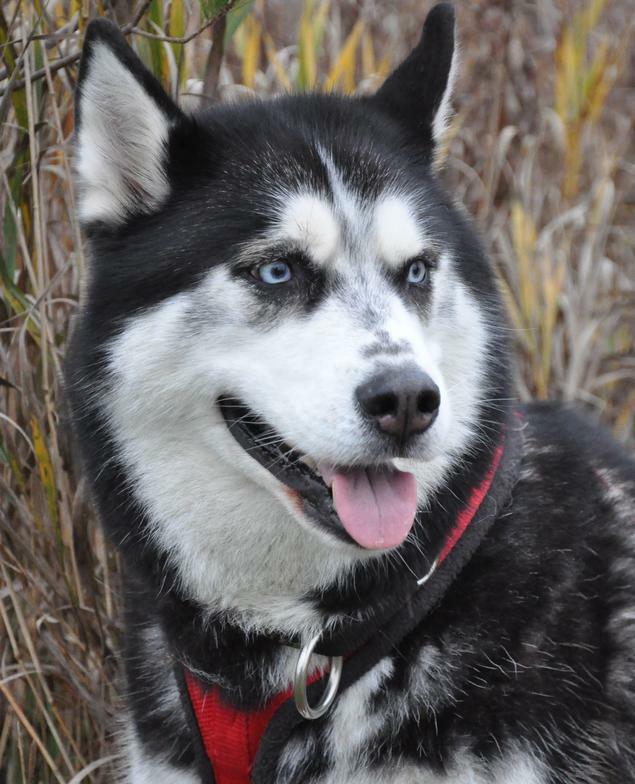 Cool Dog comes from Ohio as an only dog in a pet home and when his owner had to surrender him, he was brought to us. He’s never got over his good fortune and always wants to be the first to go. George is from the Washington County Humane Society, he survived being in two different shelters before making his way to us. He is playful, smart, energetic and a natural Leader. Happy makes us HAPPY! 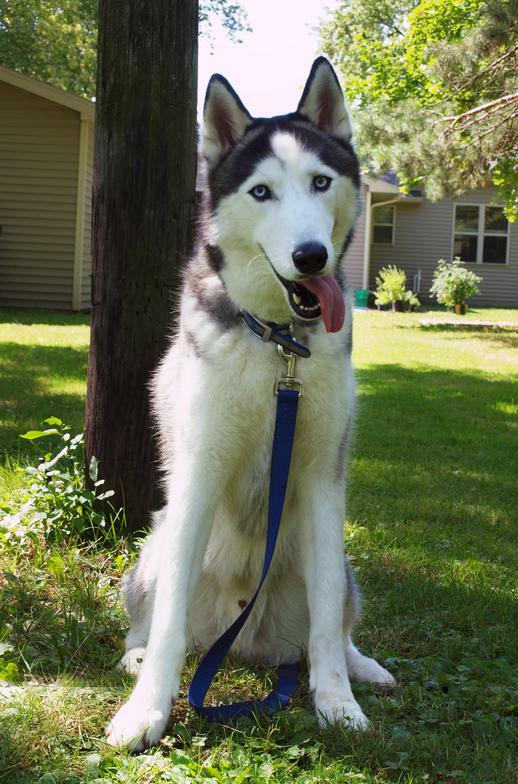 He comes to us from one of the largest rescue operations ever in Wisconsin. He is a Special Needs dog. He has deformed knee-caps, so he cannot pull on the sled. 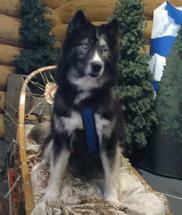 Instead, he is our ambassador and his real job is to ride ON the sled, keeping an eye on everything. Mushka is one tough little Lead dog! Sometimes she still has butterflies on the brain but we don’t mind, she’s such a hard little worker! 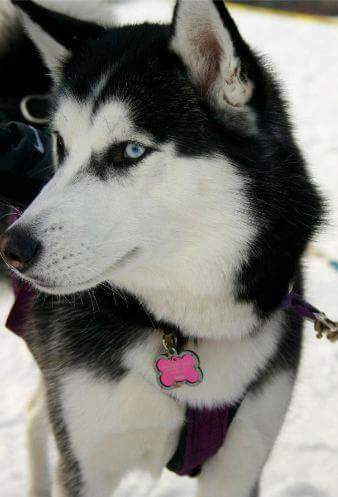 All she ever says is “Wooo – Wooo – I wanna’ be a sled dog, I wanna’ be a sled dog..” She doesn’t seem to know it but she’s such a little natural that she’s been a great sled dog since day one! 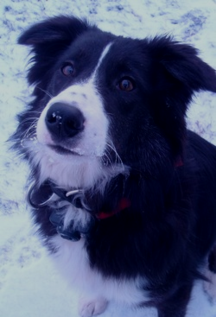 Beautiful Two, a Border Collie/Husky, is one of our best lead dogs. She is great at following directions and making smart decisions while on the trail. She loves playing with her “babies” and meeting new people. Our nickname for her is "our Love" and once given a chance to know her, you too will fall in love with her! Chewie the Coonhound was one of our most unique rescues in 2018. Rescued at the last moment from a kill shelter in Kentucky by another wonderful rescue he spent 6 months in their rescue. With no signs that they were going to be able to adopt him out they contacted us. We’d never had a coonhound before but we said “ok, we’ll take him and find him a home.” After bringing him in and finding him to be deaf and mostly blind the work began taking him to vets to find and answer. Treatment for severe ear infections got his hearing back and miraculously his sight improved as well, although as a hound he tends to forget his eyes and just follow his nose. Still in foster he has quickly become a DCSD favorite. 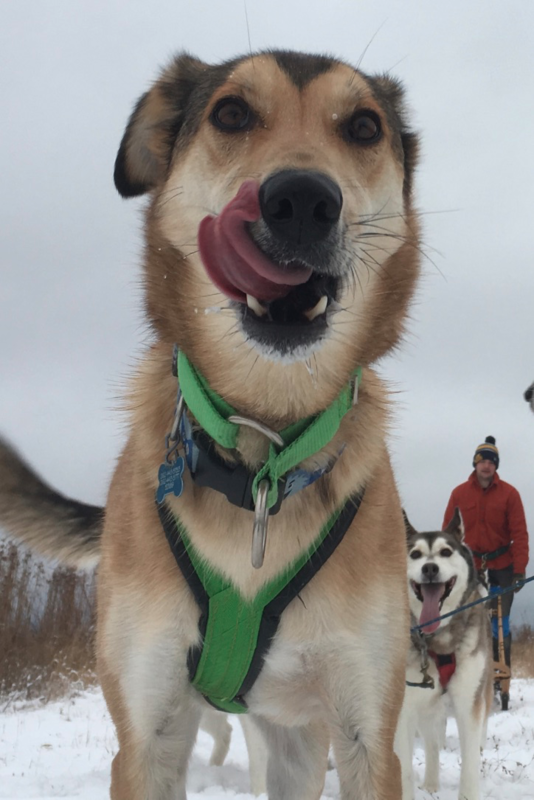 Learning to be a sled dog has been an adventure for Chewie but he is just so happy to be included in anything we are doing! 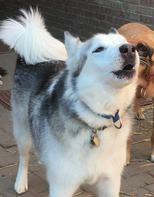 A 3 yr. old Siberian Husky, Pirate came to us from a shelter in Kansas City. 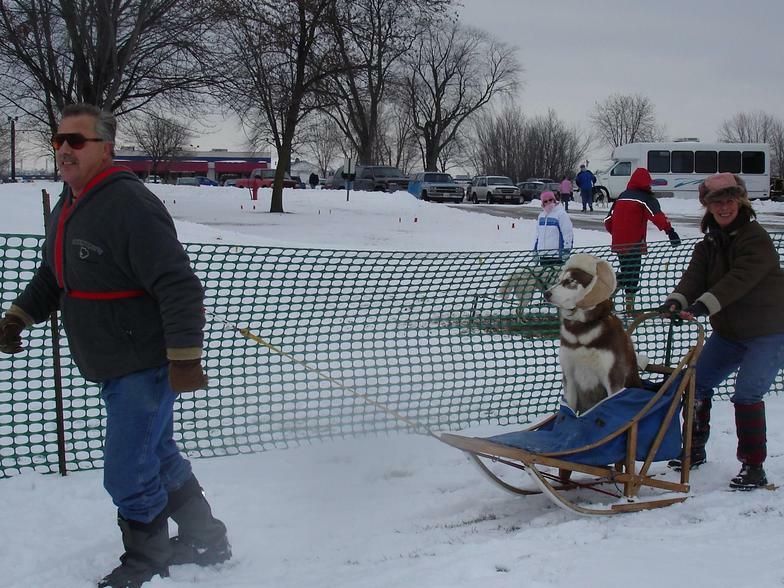 Timid beyond belief, he found his calling in front of the sled! People, other dogs, but especially children(! ), are what he loves most in the world. 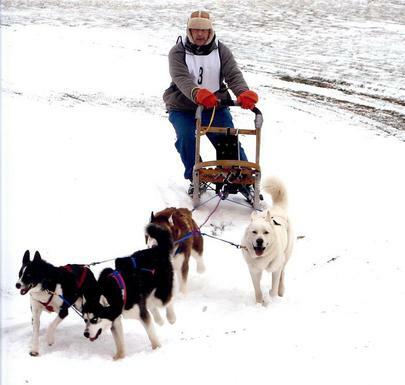 Oh and pulling the sled along the trails of course! Erza was brought in as a permanent DCSD rescue after his owners weren’t able to keep him because of his ballooning medical costs caused by an autoimmune disorder that took his left eye. Since bringing him into rescue he has had treatment from many vets and is doing well and we are happy to say he has been able to keep his right eye! Audie was originally born at a long distance race kennel in the UP, unfortunately he is a pop picky eater and couldn't do his job as a long distance racer. 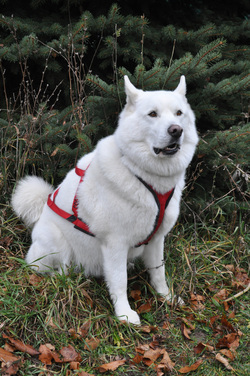 He was adopted by a woman in the military who had a small mid-distance recreational mushing team. Unfortunately her circumstances changed and she needed to find new homes for her dogs quickly. We were able to help rehome them all with Audie staying with the DCSD organization. 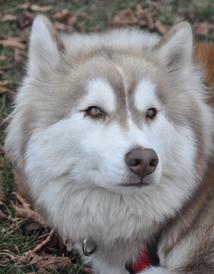 Audie is a great lead dog for our recreational team, he's also a class A cuddle buddy. Come cuddle him at our next event!! ​Louie is the best adventure buddy around, and is always ready for a new one! 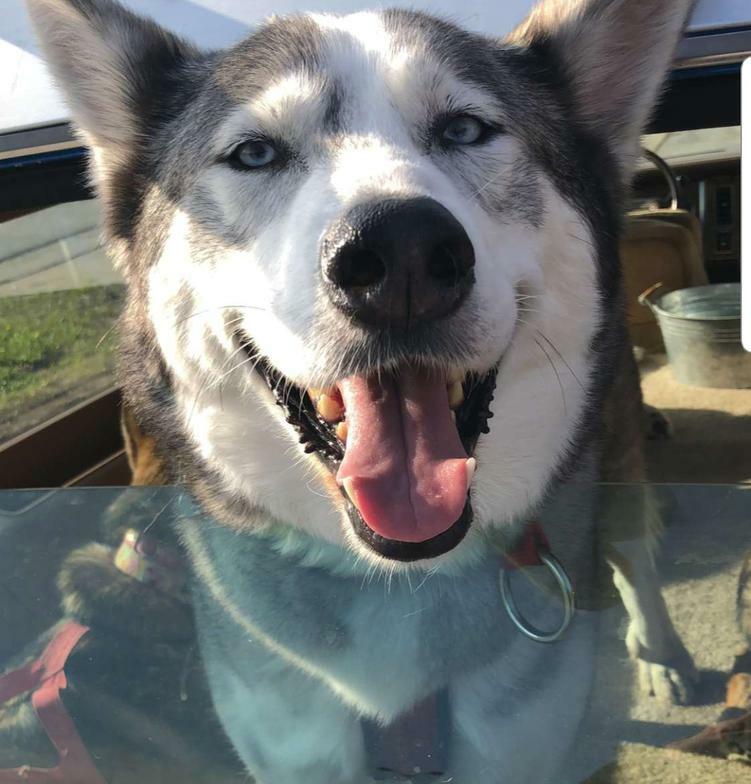 He blesses his humans with his joyful demeanor and his absolute excitement about life. He also brings them much laughter with his goofiness and playful personality. 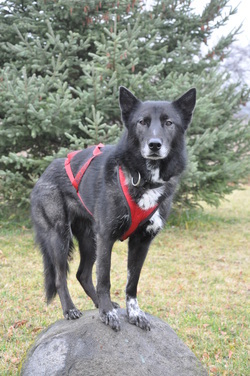 Sebastian was found as a stray up north and brought down to the Wisconsin Humane Society where he stayed for a month before one of the DCSD volunteers found him and alerted the organization. At first he seemed like too much dog for even us, crazy hyper high energy from a month of being kept in a room the size of a closet. But then we thought if not us who can handle him? After being exercised a lot for a month and taken to obedience classes he became a great dog! Rated PG-13 by the humane society he turned out to be the biggest nanny dog, always seeking out the smallest children. Sebastian has one of the biggest smiles and can't wait to meet you at our next event! 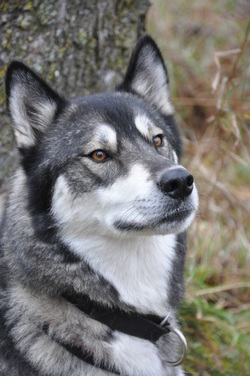 He lives in his furever home with Mushers Dan and Dani. 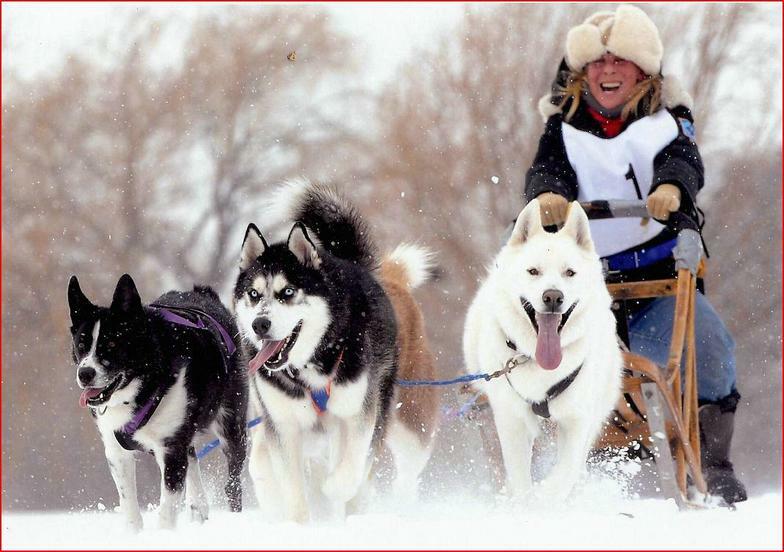 home with Mushers Dan and Dani. Ilya is a TRUE rescue, born in the front lobby of Free Spirit Siberian Rescue to parents brought in that day from a kill shelter in Georgia. 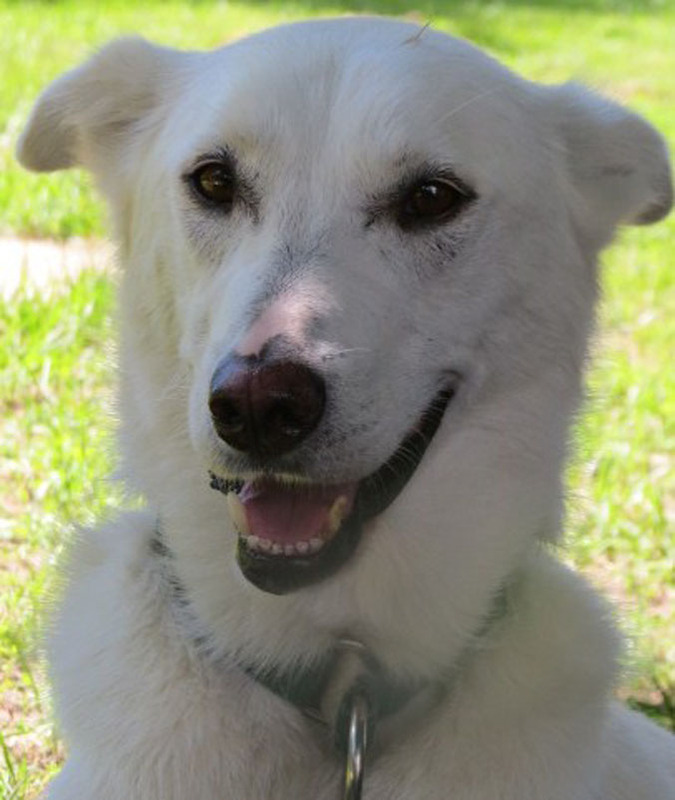 Ilya is basically the perfect dog, he runs as a leader, he's wonderful helping with children who have fears of dogs, and he can excel at being a cuddly couch potato. Come meet Ilya at his next event, you won't regret it! 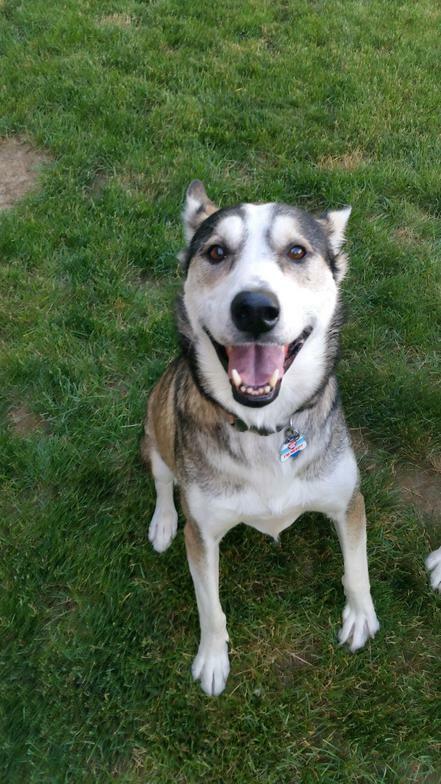 He is in his furever home with Mushers Dan and Dani.